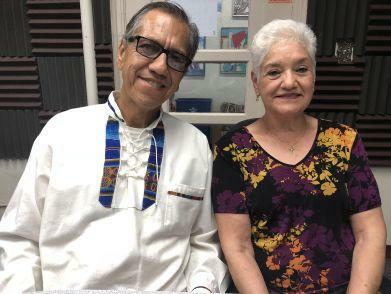 An interview with Carlos Aceves and Emma Armendariz with Raices del Saber Xinachtli Community School. 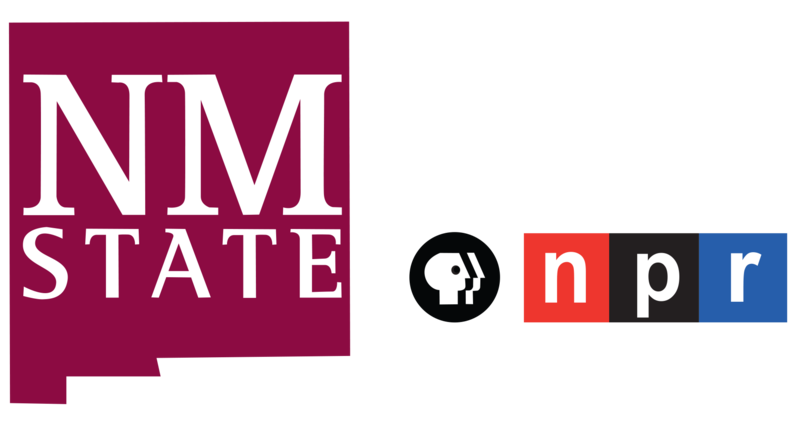 Carlos Aceves and Emma Armendariz at KRWG FM studios. Las Cruces, NM – On this edition of PUENTES a la comunidad, bridges to the community, host Emily Guerra met with “Raíces del Saber Xinachtli Community School” Co-Founder, Carlos Aceves, and Board Chair, Emma Armendariz, to talk to us about a special Kindergarten and first grade student enrollment event Saturday, April 13th from 10 a.m. to 1 p.m. at Alma D’Arte Charter School Theatre, 402 West Court Avenue. The family event is free with live music, folk dancing, food and more. “Raíces del Saber” translates from Spanish to “Roots of Knowledge” in English, and “Xinachtli” means “bursting or germinating seed” in Nahuatl. 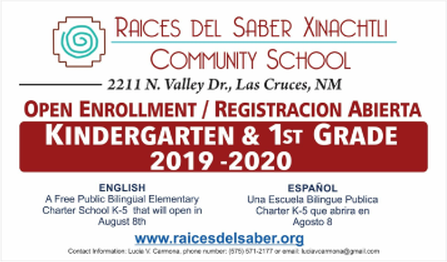 It is a free public bilingual elementary charter school opening in Las Cruces in August 2019. The school will use a dual language two-way immersion 90/10 model, integrating Mesoamerican indigenous knowledge as part of the curriculum, and using the Nahuatl language to promote an appreciation of cultural heritage. Information available at www.raicesdelsaber.org and 575-571-2177.